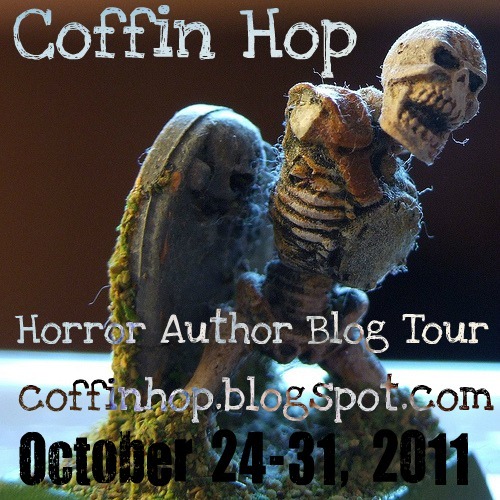 This week in honor of the Coffin Hop Blog Tour, I have been featuring an author a day. Each one has in one-way-shape-or-form, influenced my work. With the exception of Stephen King on the first day, I have focused on writers who are not as well-known as King, but deserve some attention. Friday’s ‘Author of the Day’ blog will have a special guest as John Everson stops by to enter the arena and answer 10 questions. The evening will focus on John’s latest novel, The Pumpkin Man. Be sure to stop back by and check it out. People, don’t forget to take a stab at the Author of the Day question for a rather nice prize pack. Just try to figure out my favorite book by the Author of the Day. And now, our featured author…Richard Laymon. Richard Laymon was born January 14, 1947 and died February 14, 2001. In his life he penned over thirty books and a heaping of short stories. His work is amazing, but it is really under appreciated in the U.S. For years his novels were largely ignored in the states, but he enjoyed success in the UK and in Australia. When the horror genre came roaring back ten or so years ago, people found out they had been missing out on a great writer. His Beast House series became popular and his work received a wider audience state-side with Leisure printing mass market editions of his books. unfortunately, he suffered a heart-attack and passed. In 2001 he was posthumously awarded the “Best Novel” Bram Stoker Award for The Traveling Vampire Show. He is one author who I have the utmost respect for and miss new material from. Question: In the game of life, there are not only ‘Survivors’ on a show, but there is a place where you must fight for it. Can you name my favorite Laymon novel? I’m going to take a huge stab in the dark here (hehe) and say ‘In the Dark’??? No, think of a vacation location.